Let’s back-up a bit and look at where we’ve been. Before Netflix popularized the idea of streaming video to devices of all shapes and sizes, one group was working hard to make that sort of thing a reality in their own homes, HTPC DIYers. I built a huge noisy machine for playing back local content and handling web video, and continually upgraded it from about 2005 until . . . well, today. Gradually, some media playback devices started to trickle out from the likes of Asus, Popcorn Hour and Western Digital, that filled this role. These devices generally used cheap MIPS based SoCs to drive playback of compressed video streamed from attached storage or locally on a network. Underpowered in terms of compute, their UIs were often sluggish, and codec support often wasn’t extensive, so it was important to ensure your files were encoded to match your player. These weren’t bad solutions, but Netflix would stymie their popularity. When Netflix’s streaming services exploded in popularity, one theretofore unknown company was ready to step in. Roku made what first seemed like an absurdly single purpose device. Its internals weren’t too different from the streamers that had preceded it, but instead of focusing on local content, the little black box was built to stream Netflix on your big screen. The low entry cost of the box (just $99), and the popularity of the Netflix service was a match made in heaven. While Roku’s sales aren’t in the vicinity of, say, the Xbox 360, it certainly exceeds all the streamers that had preceded it, combined. The explosion of popularity of streaming services inspired many playback devices, and the systems were integrated into TVs, DVD and BluRay Players and, fatefully, game consoles like the Xbox 360. Microsoft’s game console is as well equipped a media player as it comes, with local and network media playback, as well as access to all of the major streaming services’ wares. 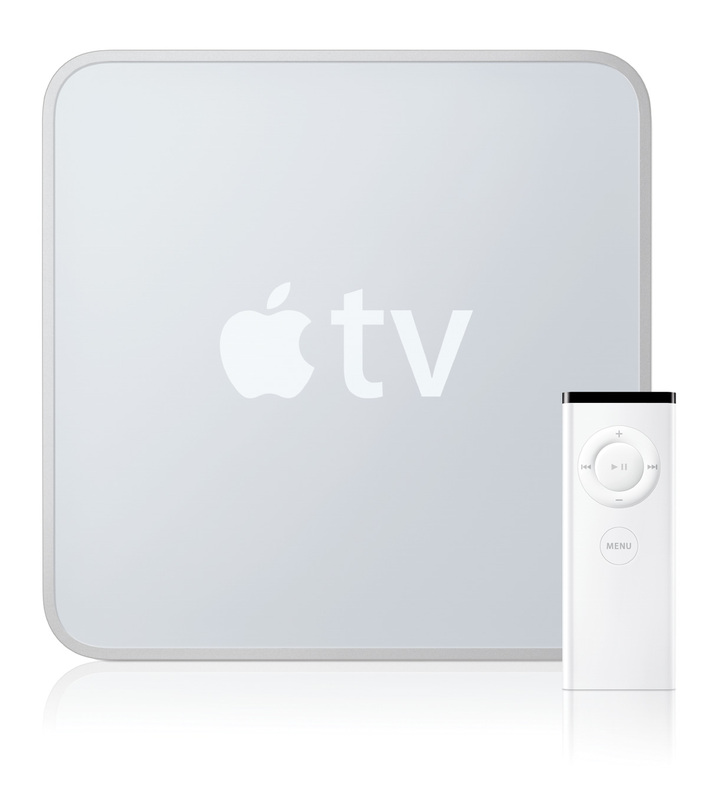 Parallel to this, though, was Apple TV. The minuscule Apple TV was limited in all the right ways. It was locked into the iTunes store for all of its content, and had little to no storage. Indeed the earliest versions were 720p devices that didn’t impress in picture quality. What Apple TV did have going for it was expectations. Users had already seen how Apple’s iOS was blessed with new features that extended the platform's capabilities, and hoped to see the same for the odd, corded cousin. In particular, users wanted apps. Today, when your smartphone doesn’t natively do something, you get an app. Operating systems, even mobile ones, can’t be constantly and infinitely updated to provide new functions or experiences. iOS development proved that fast and cheap development cycles freed them to experiment with services and experiences in a way that traditional PC development lacked. The result was an explosion of apps designed to alter and enhance everyday behaviors. To media player enthusiasts the idea of a little TV box with apps would be a great way to see innovation where it is so desperately needed. Apple TV still doesn’t have an appstore. And the limited apps available leave it at best with parity in the market. Where the Apple TV has broken new ground is AirPlay. A long standing geek dream is to be able to effortlessly send a video from one device to another, wirelessly. AirPlay does this so seamlessly, the TV becomes a compliment to the iPad, in an odd role reversal. 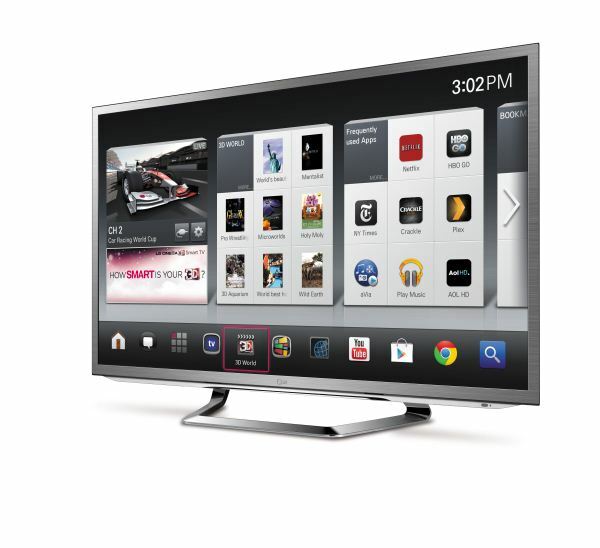 Originally announced at Google I/O 2010, the Android on TV implementation was hotly anticipated. On its release, though, it fell far short of expectations. The Android 2.x underpinnings were obfuscated by a 10-foot UI whose biggest feature was integration with Google Search. The combination of Google Search with the index of available streaming and local listings made it possible to find available content related to your search terms simple. But the rest of the affair was clunky. Though available in a satellite TV STB, and integrated within a Sony set, Google TV was always somewhat offset from the actual television watching experience. Indeed, even in the Dish DVR into which it was integrated, it was possible to have UI elements from the STB overlaid atop Google TV UI elements, and have no clear way to eliminate one or the other separately. Apps were limited to a small handful, and no app marketplace was initially included. Instead, Google’s Chrome browser was provided, so that users could simply surf to the content they wanted. Unfortunately, many content providers weren’t willing to share and left Google TV devices off of their whitelists, so services like Hulu Plus were unavailable. And perhaps most damning of all, performance wasn’t up to snuff. 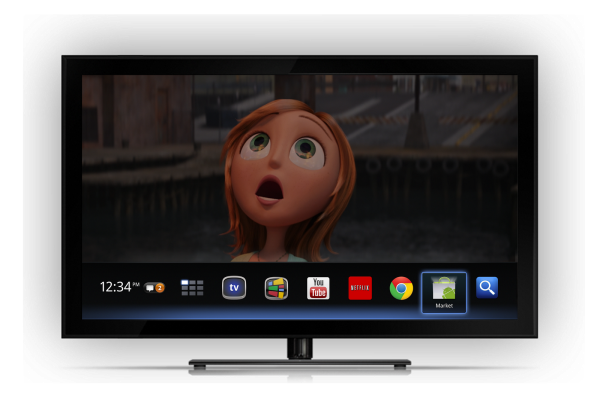 Based initially on x86 Intel hardware, first generation Google TV software never delivered a smooth UI experience, and even had issues with smooth Flash HD video playback. As these first generation devices floundered, we were left befuddled about why this all seemed to be going so wrong. No one had, nor has yet, put together that perfect combination of components and software to deliver the perfect big screen experience. Typical STB silicon is underpowered for UI and 3D performance, and even when it’s given a little more oomph, as in Intel’s SoC hardware, it still fell short. In the meanwhile, software could deliver some excellent experiences, but fall so short in others. A number of software updates came that moved things along a bit. Transitioning Google TV to an Android 3.x platform was meant to make it easier for Android developers to design apps that would work across phones, tablets and televisions, using a design framework they pushed heavily at Google I/O 2011. The Honeycomb builds also improved UI responsiveness, though hardly perfected it. The App Marketplace (later renamed Google Play Store) arrived, but the initial run of apps were a bit mundane. We set off for CES 2012 with little enthusiasm for the space, even as we knew that “smart TVs” would be the new big thing all the OEMs would be pushing. But that hopefulness reared its ugly head again as we learned about some big changes for Google TV, both in hardware and software. All second generation Google TV devices would move to ARM silicon, including SoCs from Marvell (long a player in the video silicon space) and a surprise entrant, LG. Korea’s LG would also play a role in a big software change for Google TV, the first skinned implementation. Skins over Android are rarely something to get excited over, and can often be a detriment to performance, but the reality was that the bar was so low with Google TV that anything that could inch it up would be considered a blessing. And so, here we are. 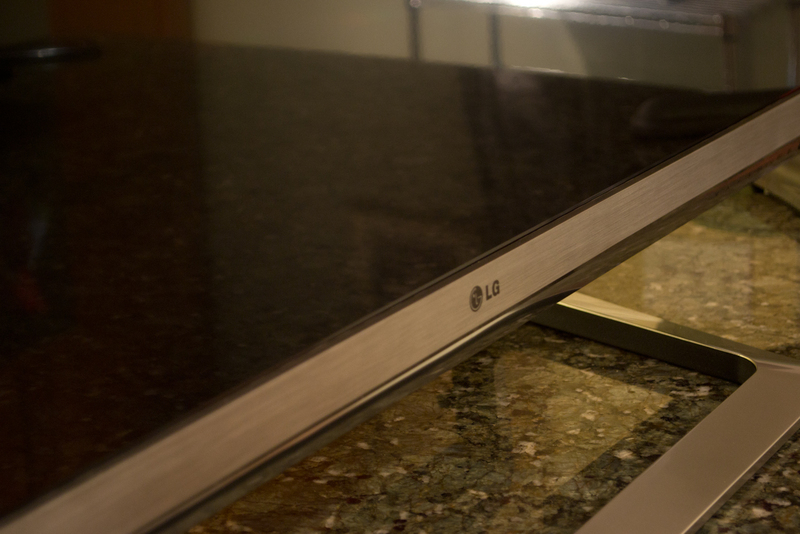 With a 47” LG G2 Google TV enthroned atop our entertainment center and all wired up. And what do we think? Sigh. I feel like unlike with smartphones, it's not a technology problem, it's a business problem, and those are a lot harder to fix. We all know how it SHOULD work. It SHOULD be just like Netflix, but with live, recent television. A show has a "live" broadcast with ads at a certain time, then as soon as the show is over, you can watch it on demand on the same service. You should be able to pick up any device to continue watching right at the same point. We should be getting fewer, far more relevant ads because you can do REAL ad targeting based on who is watching, not what they are watch and do away with this fake Nielson crap. I care about TV shows, not TV channels. I should be able to bring up the IMDB info of an episode as it's happening to find actors, writers, directors, etc... all in real time. I have the Sony Google Tv box, and overall I'd say Goggle TV gets a FAIL. Using Google Tv, all I get for choices seems to be Netflix or Amazon. It is no where close to MS media center! It can't see or connect to my Silicon Dust dual tuner, can't connect with any media server I have. Can't record shows, can't seem to stream video from the web other than Netflix, amazon, or youtube(yuck). Aka, media center has lots of plug-ins. Xbox, XMBC, Plex, MS Media center are better. Sure it has android, but you can't download very much for it. I use it for Netflix and Blu-ray, that's it. Don't get me wrong I have Android phones, Asus Transformer Prime, and they are wonderful. I have Sony Google TV, and I don't use those NetFlix or Amazon. I mainly use it for Youtube, a lot of clips don't play properly on the box. Next thing I uses is aVia media player for network player (uPNP and some online service) and local media player. And the other thing I use a lot is Slacker Radio, eventhough I'd prefer TuneIn, it's not available. I don't really understand why Google choose not to include Music or Video player from the Android into these Google TV. Without these we are drived to 3rd-party app, which is not really many given that GoogleTV does not support NDK (yeah I have to blame those developer for not porting the app entirely to Android). TuneIn is available as a web app. You can find it by heading to the Spotlight app. It's a pretty solid web app, though i would prefer the native app. Cheers.